Original features, tasteful design, subtle luxury and smart tech make this a one-of-a-kind four double bedroom family home. Take a look at the photos to see why. The house has been a painstaking restoration and design project and we are now looking for people who will truly appreciate and enjoy the attention to detail, the amount of character, the lush garden and the amazing light. It’s also huge. Ok, it’s not a room you would normally list but when there’s a stained-glass front door and original Victorian hallway tiles, you kind of have to mention it. Light and airy. Victorian Fireplace. Original restored floorboards. A blank canvas. Dark and moody. Victorian Fireplace. Original restored floorboards. Hole-up for cozy TV sessions. Brand new high-quality cabinets. 900mm Smeg oven. American-style fridge. Two sets of patio doors give great light and views of the garden. Bay windows. Great light. Big enough to have its own sitting area. En Suite bathroom with double marble vanity and custom built mirror and cabinets. Walk-in shower. Bathed in lovely southern light. Built-in wardrobe re-using original cabinet frames. En suite WC. White floorboards. Huge bathroom with clawfoot bathtub and large shower featuring tradition Victorian-style fittings. Double bed set back into large dormer. En suite shower. Walk-in wardrobe. Original floorboards. We wonder if this is actually the master! Great light. Big windows. Double bed can go in two places. En suite WC. Walk-in wardrobe. Original restored floorboards. A fully damp-proofed laundry room plus two additional storage areas. The house currently features a few pieces of furniture which might prove useful in such a large house. However, if you have your own, and needed it out of the way, we can make arrangements to move it out. 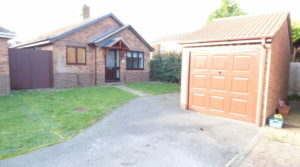 WELL PRESENTED 2 BED DETACHED BUNGALOW SET IN A CUL-DE-SAC POSITION in this sought after residential development close to Chilwell retail park and close to Beeston and Long Eaton town centres with its day to day amenities and excellent local transport. 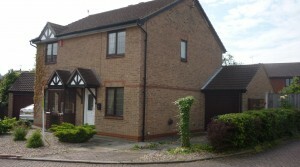 Briefly comprising of: Kitchen, Lounge, Inner Hall, Bathroom, 2 Bedrooms, Gardens, driveway & garage. Offered either furnished or unfurnished. Available Now. Kitchen: With wall & base units, work surfaces, single drainer sink unit, 4 ring gas hob, electric oven, extractor fan, washing machine, fridge and freezer, Radiator, DG window & door to side elevation. Bedroom 1: Double bedroom facing rear elevation, Laminate flooring, Radiator, DG window to rear elevation. Bathroom: With panelled bath having shower over, WC, pedestal wash hand basin, DG window to side elevation, radiator. Outside: To the front a lawn with shrub borders, driveway leading to the detached garage. To the rear of the property is a garden being low maintenance slabbed seating area with shrub borders & shed. Merchants Property Services are pleased to offer this well presented semi detached three bedroom unfurnished property in this sought after location .The accommodation briefly comprises of a hall way leading onto a spacious living room and onto a good sized dining kitchen with all appliances including gas cooker, fridge freezer washing machine and dish washer. To the first floor are three bedrooms , two doubles and one single bedroom and a modern white family bathroom with three piece suite with electric shower over the bath and tiled flooring. The property benefits from gas central heating , double glazing . 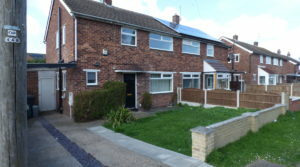 There is off street parking to the front of the property and their is a private enclosed rear garden. The house is situated in a quite area . Available from Mid March. Merchants Property Services are pleased to offer this spacious well appointed fully furnished house in this sought after location. The property briefly comprises of a Hall way leading onto a large through lounge/ Dinning room. There is a fully fitted kitchen with all appliances. To the first floor are three large double bedrooms and a modern white bathroom suite with electric shower. The property is decorated and furnished throughout to a very high standard. 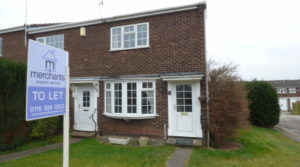 The property benefits from gas central heating, double glazing and alarm. To the front of the property is a driveway for 2 cars and to the rear is a private enclosed rear garden. 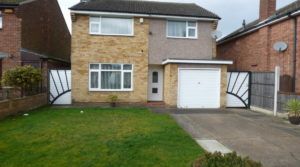 The house is in an ideal location for both the city and the QMC and is very close to some excellent schools in the area. 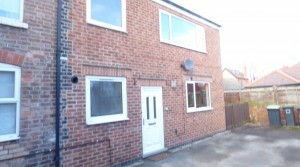 Merchants Property Services are pleased to offer for rent this exceptionally well presented 2 bedroom Terraced property. 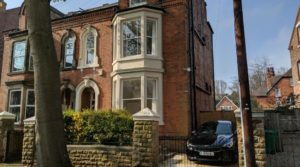 The property has been extensively modernised throughout and the accommodation briefly comprises of two good sized reception rooms and a modern fully fitted kitchen with integrated appliances to the ground floor. The cellar has been dry lined and converted to a useful utility area with Washing machine and dryer. To the first floor there are two good sized double bedrooms and a new modern bathroom with white suite with a power shower. To the rear of the property is a private enclosed rear garden. The property benefits from an alarm, and gas central heating throughout. 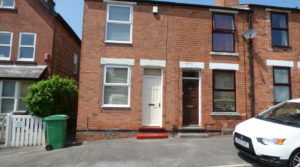 It has an excellent location being just a few minutes walk from all main shopping area with easy access to the city centre. Well worth a viewing. Merchants Property Services are pleased to offer this modern one bedroom house.To the ground floor the property comprises of hall way leading onto of a good sized living space with access to a private enclosed rear terrace, Modern fitted Kitchen with Integral electric oven, hob and extractor hood.To the first floor is a modern white bathroom suite with bath and electric shower over bath. Pedestal washbasin, and close coupled w c. and a good sized double bedroom. 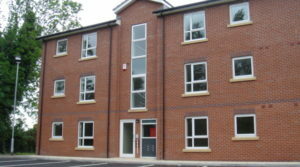 The apartment benefits from Gas Central heating and double glazing throughout and has secure private parking. 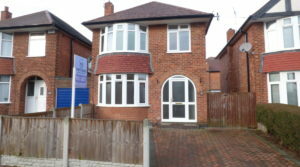 Fantastic location close to Beeston Town Centre and tram line. We regret we are unable to accept Housing Benefit on this property.